At Business Chicks, we want women to be part of leadership at every level of business. That’s why we’ve partnered with leading global experts, Centre for Leadership Advantage, to create a unique and powerful offering to support, develop and empower women in leadership. LEAD Emerging has been designed for aspiring and emerging female leaders who want to develop the leadership capabilities they need to help them succeed in their roles today, and set them up for future career success. Whether you are establishing yourself as a leader or business owner, or are an experienced professional who wants to boost your skills in leadership, this could be the opportunity you have been waiting for! Individual action plan for applying your learning to a real business challenge. Hosted by CLA’s organisational psychologists and leadership coaches, and with all the usual magic of Business Chicks wrapped around it, LEAD Emerging is a unique opportunity to boost your skills and help you take on leadership in a whole new way. 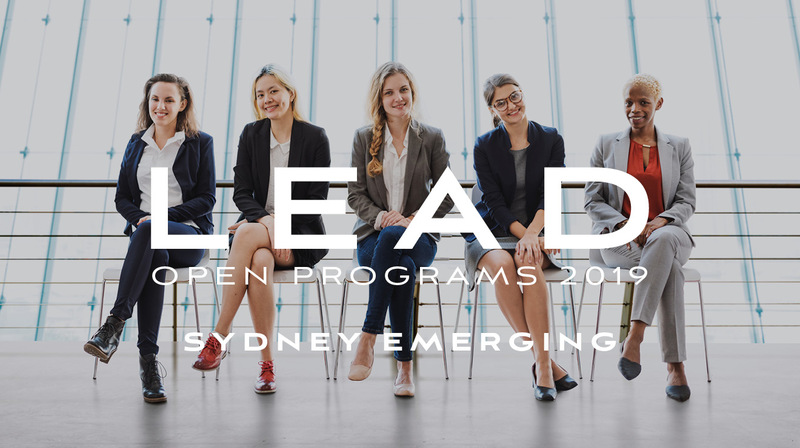 Registrations are now open for 2019 LEAD Emerging Programs. Please note that participant numbers are strictly limited.